Is it time to change how clinical research subjects are treated? On February 4, 2015, I took part in the National Institutes of Health (NIH) Bioethics Grand Round: "Should we compensate subjects for research related injuries?" Mr. Kenneth Feinberg, JD, 911 Fund, and Boston Marathon Fund, responded to my "ask". His talk was fascinating, but not exactly what I was expecting. View this video in full screen videocast as posted on NIH videocast. Study participants are NOT paid. 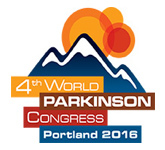 People with Parkinson's (PWP) may risk their health by taking part in research. If PWP are injured during research, they rarely receive health care. There is no guarantee your expenses will be covered in studies / trials. Do we want to continue volunteering under these conditions? Is it right that human trial participants are asked to take huge risks, but are told to "sue the Federal Gov't" if they are injured? Isn't it time to take a hard look at how clinical research is run in the U.S. and how research participants are treated? What do you think? I would really like to know.